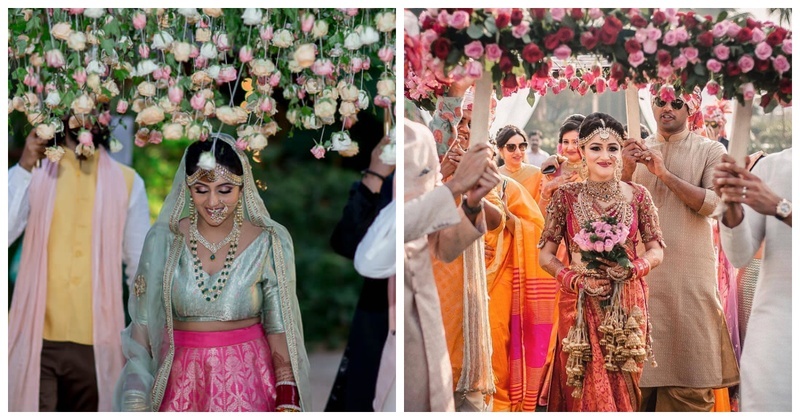 10+ Phoolon Ki Chaadar for your Bridal Entry that are trending this Wedding Season! Are you one of those brides-t0-be who has been dreaming of walking down the aisle under a phoolon ki chaddar, towards your future partner, with Din Shagna Da playing in the background? If the answer is YES, then you are at the right place! So, which phoolon-ki-chadar would you have for your wedding?